At over five hundred pages, Ron Ridenour's The Russian Peace Threat is a precious contribution to belated efforts by Americans of good will to rethink their country's attitude toward the rest of the world before it is too late. I wish I could give it to every person who is convinced that Russia represents an existential threat to the US -- or who are not sure the media is systematically lying to them. 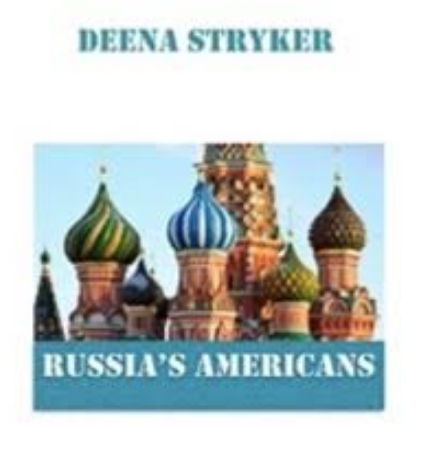 He has managed to combine a detailed history of the US-Soviet-Russia saga with up-to-date -- as of June 2018 -- reporting on the latest turns in Russiagate. Only someone who has spent a lifetime participating in and writing about 20th century revolutions, as had this author, can deftly meld personal experience and historical details. Ron's trajectory reflects a growing trend among today's progressive writers to have been part of the story, and this is what gives their voices an unchallengeable authority. We have more often than not come to our convictions through personal experience rather than via academic careers, whose success tends increasingly to hinge on conformity to a narrative established elsewhere. The title, The Russian Peace Threat, leads the reader to expect a detailed expose of Vladimir Putin's sins. Instead, under the heading The Great Capitalist-Socialist Divide, the first part focuses on US efforts to take down Fidel Castro, punctuated -- but not culminating in -- the Cuban Missile Crisis, which is adroitly counter-posed to the contemporaneous appointment of Yuri Gagarin, the first man in space, as the Soviet Union's goodwill ambassador to the world. Usually sacrificed to ideological and historical analysis, the socialist ethos codified by Lenin would perhaps not have been as profound had it not grown out of the peasant councils that existed under the Tsars, which ensured basic solidarity in a particularly rude climate. Very differently, the United State competitive ethos enabled it to impose its demands on a foreign land. Thus, when Ridenour prefaces the October Revolution with a detailed account of US efforts to subvert another revolution ninety miles from its shores, in the name of the Monroe Doctrine, he is setting up a mirror image that will infuse the entire work. From the start of Russia's revolution, the U.S. has attempted to overthrow its governments, starting with an invasion (July 1918). Once defeated, the U.S. has done everything else to badger it, subvert it, surround it and overthrow it. Neither the Soviet Union, Russia, China, Cuba, Vietnam nor North Korea has ever invaded or subverted the United States. Ridenour could have followed with a list of all the countries the US has subverted or attacked. Instead, he chose to feature Yuri Gagarin, the first human to orbit the earth and a Soviet goodwill ambassador, to introduce reflexions on Cuba, where he spent many years. Similarly, when it came to the Cuban Missile Crisis, which freaked out the entire world, he focuses on the Russian naval officer who was instrumental in avoiding nuclear war. Reflecting the dual track of the author's life, working for social justice on the ground while writing about key events, Ridenour's book represents a monumental achievement in terms of the detailed references with which it is documented. reveals for modern readers the shocking collusion (sic) between America's industry and banking moguls and the regimes of Mussolini and Hitler. There were allusions in the US press during the presidency of George W Bush regarding his grandfather George Prescott Bush's ties to fascists, but Ridenour shows that these merely scratched the surface. Although many readers will be familiar with Hitler's program, I quote it here to emphasize the shocking extent of American cooperation. Hitler joined the Nazi party (National Socialist German Worker's Party/NSDAP) in 1920, a year after its founding in a Munich hotel. Nazism stood for the collective good of the "Aryan Master Race", which required suppression of many individual rights. Its basis was German nationalism with "Lebensraum"/international expansion.as a goal. Inferior peoples, first and foremost Jews, but also Gypsies and handicapped people, were to be suppressed and/or eliminated. Quite conveniently for Hitler, an angry Dutchman, perhaps a communist, set fire to the government Reichstag gutting several buildings, on February 27. The fire has been widely suspected of having been set by the Nazis themselves, a bold false flag to smooth the road to authoritarianism. The next day, Hitler-Hindenburg issued the Decree for the Protection of the People and the State. Popularly known as the Reichstag Fire Decree, the regulations suspended the right to assembly, freedom of speech, freedom of the press, and other constitutional protections, including all restraints on police investigations. Hitler took full plenary powers, on March 24, with his Enabling Act. In less than two months, Hitler had come into a democratic government as chancellor and become a legal dictator. His seizure of power permit-ted government-by-decree. These events brought the republic effectively to an end. Besides J.P. Morgan, jr. other FDR coup conspirators included: Irenee du Pont, American Liberty League and Black Legion founder; William Doyle, former state commander of the American Legion; John Davis, former Democratic presidential candidate and a senior attorney for J.P. Morgan; Al Smith, Roosevelt's bitter political foe, a former governor of New York and a co-director of the American Liberty League; Robert Clark, one of Wall Street's richest bankers and stockbrokers; John J. Raskob, a high-ranking Du Pont officer and a former chairman of the Democratic Party. Later, Raskob would become a "Knight of Malta," a Roman Catholic Religious Order with a high percentage of CIA spies, including CIA Directors William Casey, William Colby and John McCone. Ridenour goes on to trace Soviet events leading up to World War II, skipping over the actual hostilities, picking up the narrative with the Teheran Conference at which the Big Three (US, Great Britain and the Soviet Union) shared out spheres of influence. He makes the case that Stalin's entry into the war against Japan in fulfillment of a promise made, was the more likely cause of that country's surrender than the conterminous bombing of Hiroshima and Nagasaki. In every revolution, or transformational economic upheaval leading from one system to another, there is always counter-revolution. Internal conflicts and transformations are often utilized by foreign powers to their advantage. Subversion and military intervention started from the first, as we have already seen. And when the great bear of the nation was nearly on its knees from so much violence and lack of food, its leaders naturally could see enemies where there were none--paranoia sets in, and causes mistakes and even immoral actions, blockquote/. According to Kennan: "Occasionally, it [the United Nations] has served a useful purpose. But by and large it has created more problems than it has solved, and has led to a considerable dispersal of our diplomatic effort." Those words would become ever more popular among America's foreign policy. The National Security Act, signed on September 18, 1947, created the Central Intelligence Agency (CIA) to gather information and commit covert actions abroad, contributing to the creation of the Deep State which is in power to this day. Chronicling the entire post World War II, part three is titled Russia at the Crossroads, and brings us up to date on current events.